For Those Unaware, Now Being Conducted By UNITE HERE Local 11 is an Effort to Collect Signatures from RPV Residents to Place an Initiative Measure on the November 2018 Election Ballot that Adds Chapter 5.40, Hospitality Working Conditions, to the City of Rancho Palos Verdes Municipal Code. Two proponents of the Initiative are Bianca Sandoval and Jan Ellen Gardner and they are represented by George Yin of the Kaufman Legal Group. RPV residents are reporting two strategies; ambiguous phone calls seeking “worker” support and door to door campaigners seeking Initiative Signatures. We understand that 2,777 valid signatures are needed to qualify the Initiative. PVP Watch believes this matter is NOT an RPV city issue but a matter between Terranea employees and Terranea management. It would appear that the union has failed to gain employee support thus the Nefarious Initiative Scheme. Wages, Hours, Work and Transit: A Wage minimum of $15 per hour increasing annually. Employees will be provided free transportation To & From Work. Panic Buttons will be provided at no cost for emergencies or threatening behavior. Compliance Records with limitations and penalties for Terranea to comply. As Terranea approaches its 9th anniversary in RPV, Terranea has become a very valued member of this community. Not only do “occupancy” (TOT) taxes now exceed $5 million annually, other taxes and fees (sales taxes, property taxes, utility fees etc.) are estimated at another $2/$3 million annually that contribute to RPV revenues. In addition, Terranea’s support of local business’s in the South Bay. 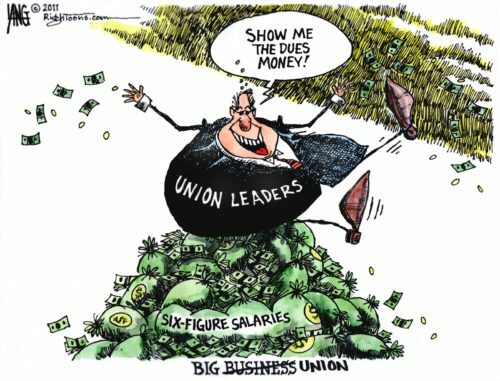 RPV residents should think of this Initiative as to what it really is, a power grab for union dues that at a possible $50 per month per employee could generate over $600,000 annually (or more) for the union hierarchy and their lawyers. It appears that the Initiative is supported by a few disgruntled employees while the majority of Terranea employees are well satisfied with the working conditions at Terranea. Not known is what new costs RPV will encounter should RPV become the arbiter of labor relations at Terranea a responsibility RPV is not equipped to accommodate. When approached PVP Watch suggests that RPV residents not sign this petition thus supporting Terranea, its employees and the best interests of RPV residents who enjoy the benefits that Terranea provides.